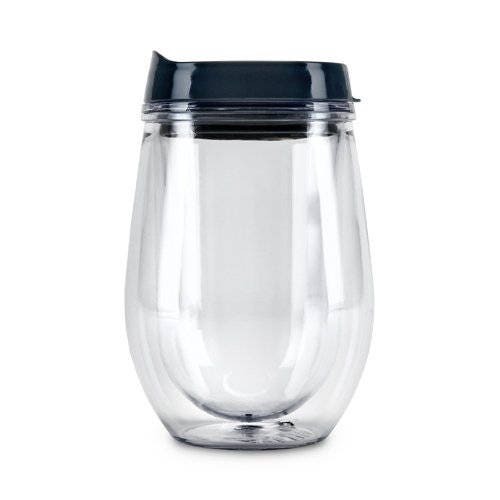 Keep your Vino cool and in the cup while on the go with the insulating acrylic Traveler double-walled wine tumbler. 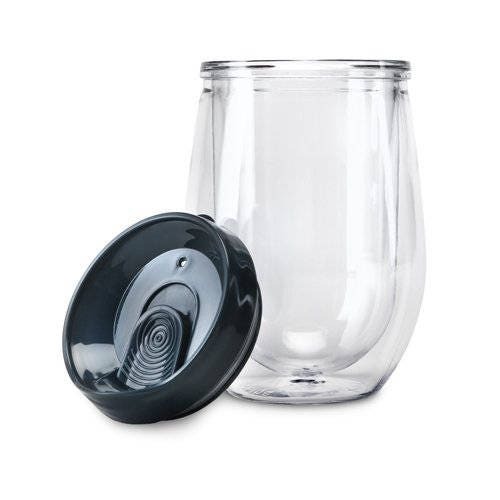 The outer wall, shaped like a classic stemless wine glass, fits naturally in your hand while the inner chamber keeps Red or white wine at the perfect temperature. A tight-fitting lid with a sealable aperture tops it all off and prevents spills and is almost indestructible!